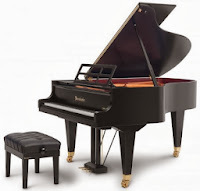 AZ PIANO REVIEWS: DIGITAL PIANO vs ACOUSTIC PIANO - Which is Better? DIGITAL PIANO vs ACOUSTIC PIANO - Which is Better? 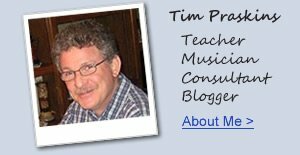 My name is Tim Praskins from AZ Piano Reviews & News and I am a well known music teacher, musician. composer, arranger, and piano expert in the US and have played or performed on just about every type and brand of digital & acoustic piano out there for well over 35 years. People from all over the world ask me for piano advice and inevitably want to know the answer to the following question: "can a digital piano replace an acoustic piano for piano lessons & piano playing?" The simple answer is..."Yes!" there are likely some pianists and piano teachers that might take exception to my answer and say a digital piano can never replace a real acoustic piano. But there is one fact and a question those people are not considering and that question is: "what is the purpose of owning a piano for that student or piano player? If the purpose is to "make music" and have personal enjoyment in making that music, then a good digital piano can easily rise to the occasion and enable anyone to learn to play the piano, make music, and enjoy the result of their hard work. 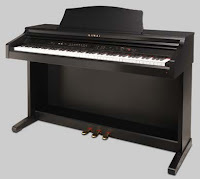 If that is what you are looking for then you will find it in a good high quality digital piano (aka: electric piano) ranging in price from approx $500US on up well past $10,000US. However if your musical goal is to become a concert artist and/or top piano performer and you are seeking to do whatever it takes to get there, then I would suggest that you will eventually need to own a real top quality acoustic grand piano...but in the meantime a good digital piano will likely be enough for a number of years depending on the actual piano itself, as far as I am concerned. When it comes to my personal piano playing, I spend more time playing the digital pianos in my music studio as opposed to my acoustic upright and grand pianos for a few different reasons; the built-in headphone jacks which allows me to plug in stereo headphones for private practice so I don't disturb others, the fact that my digital pianos allow me to do things musically with technology that my acoustic pianos cannot do such as connect to my iPad to enable an interactive music learning experience, and something that I love about digital pianos...they do not go out of tune like my acoustic pianos do. I don't like playing an "out-of-tune" acoustic piano, it's just not very enjoyable for me. Acoustic pianos (no matter what the brand, model, or size) do go out of tune and sometimes it's quite often often because of larger fluctuations in local weather and humidity levels than in other areas or perhaps I am playing on an acoustic piano that is just having a difficult time maintaining a tuning. Good top name digital pianos are not affected like that and they stay in tune permanently as long as the recorded acoustic piano that the piano sound came from which is in the digital piano was originally in tune. 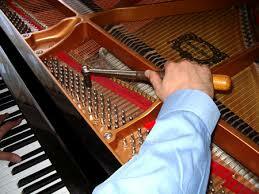 Yes, I know I can call a piano tuner to tune my acoustic piano and I do that often. 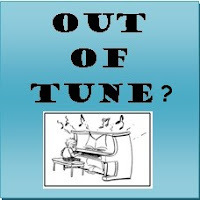 But the cost of piano tuning service (with a tuner who knows what they're doing) is at least $125US or more each time it is tuned, depending on the area you live in and technician you choose. A good acoustic piano really needs to be tuned at least once or twice a year to be in good tune, unless you do not care or cannot tell the difference because your ear hasn't developed yet to know when a piano is in or out of tune (which is the case with many people). You can certainly tune an acoustic piano whenever you want to and even wait many years to do so. But just remember, you are not doing the player, who is perhaps your child student, any favors by waiting to get your piano tuned because an untuned (out of tune) piano will get them into bad musical hearing habits where their musical ear is being developed in a bad way...and do you really want that to happen? I know people who maybe tune their acoustic pianos once every 5-10 years because they just are not bothered by their out-of-tune acoustic piano since they don't personally play at all, don't play well, or just have "tin" ear! Also, if you do not have an acoustic tuned for a long time then it will also be more difficult and more expensive for a piano tuner to tune up when you do finally get your acoustic piano tuned and ultimately bad for your piano in the long-run. There is no question that I do love playing great, in-tune acoustic grand pianos such as Steinway, Bosendorfer, Kawai, Yamaha, and others because they allow for a pure organic piano playing experience not yet found in any digital piano that I have played. But you would need to be in a position (musically) to understand that difference and if you are, then there are still good reasons for people to enjoy playing and owning great acoustic pianos. However, those reasons are starting to disappear fast for the younger generation because many of them just want to play music and their goal is not become a pianist. They are surrounded by music technology and are not "put off" by playing a good digital piano because when it comes down to it, that digital piano gives them musical enjoyment and that's the goal, the enjoy playing music! 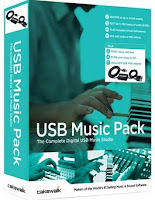 The younger generation also wants their piano to give them a complete interactive music playing and listening experience which only digital pianos can really do in a big way through interactive USB/MIDI connection to external devices. Also, as I mentioned earlier, in days gone by I was limited to the amount of time I could play my acoustic piano as I was growing up and still even now because the volume an acoustic piano puts out competes with other family activities in the home and studio. Playing an acoustic piano in a typical living room, family room, or bedroom is a "loud" thing to do and it always has been. That's OK if no one else is home, you live alone, if no one is watching TV nearby, sleeping, on the phone, or just needs it to be quiet, etc. But for all practical purposes and for most families, good digital pianos offer so much more in terms of flexibility along with a satisfying piano playing experience that the newer generation of digital pianos has far surpassed what has been available in the past and in fact will make some acoustic piano owners "jealous" in not not having one for themselves! As far as comparing quality piano tone and key touch between a new digital piano compared to a new or used acoustic piano, that's really a matter of personal preference and the price range you need to be in. 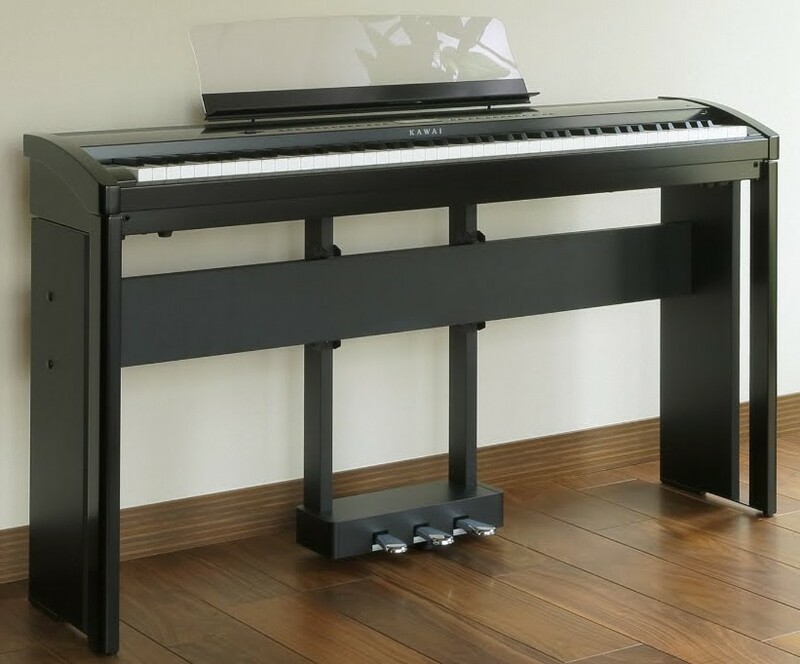 If you can only afford to pay somewhere around $500US to $1000US which is the case with many shoppers, then a new digital portable (with stand, pedals, and bench) or a fuller cabinet piano in that price range from Yamaha, Casio, Kawai, or Roland would normally be a much better option than an old used acoustic piano since an old one is the only option for an acoustic piano in that price range...and then that used acoustic piano would likely have playability challenges and issues as well. For most people who have never played an acoustic piano, it's very difficult if impossible to tell the difference between the digital and the acoustic in terms of piano sound, piano key action, and pedaling. 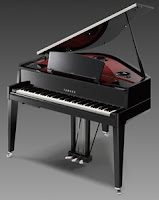 In fact I have had many sophisticated musicians, concert artists, opera singers, music teachers, and audiences tell me that they were extremely impressed with their playing and/or listening experience when hearing or playing a good new digital piano in a slightly higher price range at approx $2000US and up. It is important to note that acoustic pianos are not all the same in tone, touch, and pedaling and they can differ from each other in a variety of ways. This would be the same for digital pianos in that they don't all play the same either. Some have a heavier key action movement, some are lighter, some of them have a brighter piano sound and yet others are more mellow, etc. So at the end of the day it still boils down to personal musical taste and what your fingers and ears like, and not what someone tells you that you need to have just to be musically happy and satisfied. I love piano teachers and two of my daughters are piano teachers. I have been a successful piano, organ, guitar, and keyboard teacher for well over 40 years starting when I was in my teens and I own many good acoustic and digital pianos. But I know one thing for sure after all that time...if the piano student is not enjoying his piano learning and playing experience then it does not matter what type of piano (digital or acoustic) he or she plays on at home! Music is about "feeding the musical soul" and "feeling a deep satisfaction" when playing music. If that is not happening with the piano student at some point, then you are wasting your time. In fact, I have another daughter who was in that very situation when taking piano lessons as a young girl and trying to enjoy it...the entire thing just did not work for her and we could see that, and she had a very good teacher too. So we stopped the piano lessons and put her into the flute which she had always asked about. A few years later she became very proficient at playing flute and eventually got so good and loved it so much she became a flute teacher:). She stayed into music and excelled at something which gave her personal musical joy. That's what it's all about...not digital or acoustic, but JOY in playing music and in my case having a piano to do that with. It is true that a digital electric piano has to be "plugged in" to an electrical outlet whereas an acoustic piano does not. I've heard the argument that a digital piano won't work if the power goes out but an acoustic piano will so you would be better off with a regular acoustic piano. While that is a very true statement, how often does that really happen? Not often unless there is a severe storm that knocks out power or blew your home away. But then you'd be in the dark and couldn't see much anyway and you probably would be busy cleaning up the mess from the storm! 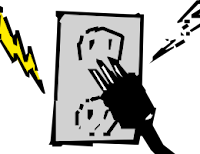 In fact, once in a while our power goes out here in the Phoenix, AZ area in the middle of summer when everyone is cranking up their A/C to stay cool from the 115 degree heat which puts a stain on the electric grid! When that happens, you do not want to stay in your home very long because without A/C, you start to heat up pretty fast:) So playing piano at that point is not the first thing you think of:). Also, if you don't have electricity where you live or the electricity you have is not dependable, then DON'T purchase a digital piano and instead purchase an acoustic piano. That's definitely a logical choice. However when an acoustic piano is constantly subjected to severe temperature and/or humidity changes, it can have an adverse effect on the condition and well being of the piano. 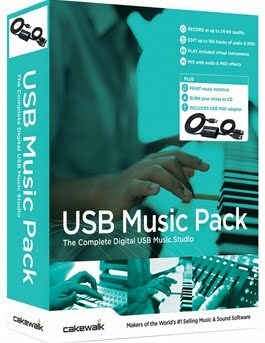 Many digital pianos have USB flashdrive options for saving your song recordings and/or for playing songs back so you can evaluate your performances or play along with other people's performances to learn music better. You can also connect to a computer or iPad using inexpensive music software or apps which I use and enjoy. With computer music software, you can play your piano music and then see it in sheet music form on your computer. You can take that sheet music from your computer and edit it in a number of useful ways, print it out fully notated, or even play it back automatically to listen to your performance. Music education and interactive software for digital pianos is pretty incredible these days and can help speed up the learning process by not only making piano practice a lot more fun, but also more intuitive. 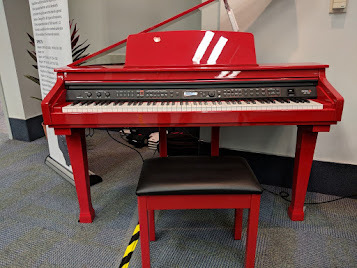 Young students really like this interactive technology to enhance their piano practice and playing experience as do most adults who have experienced it, and it is a great motivational practice tool. I have been teaching piano for years now and instead of being a bit apprehensive of the technology, I have embraced educational technology for decades and find that much of it really does help keep the students and players musically engaged with the goal of becoming an even more accomplished musician rather than just an average piano player. 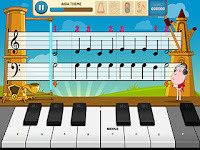 One of the more popular iPad apps for learning to play and enjoying piano is called Piano Maestro. This app offers what I consider to be a very comprehensive piano curriculum for the beginning student on up. Piano Maestro is very engaging, fun, and yet teaches you many musical concepts and fundamentals and allows you to progress in regular stages. In fact this app features the popular Alfred Piano Course which teachers throughout the world use in their teaching studios. The interactive nature of Piano Maestro coupled with direct response to your playing enables you to learn in a positive way that regular acoustic pianos just cannot do. I would recommend you take a look at Piano Maestro for iOS devices to see what I am talking about as well as other useful learning apps that help in so many ways. Vertical & baby grand digital pianos are also becoming more refined in their overall design and more attractive in their cabinetry. In other words, they look good. Acoustic pianos have generally always looked good in their traditional cabinet form so that hasn't changed much. So, why would anyone want an acoustic piano over a digital piano? The fact is, a good acoustic piano (especially good acoustic grands) is still superior in tone, touch, and pedaling as compared to many digital pianos, so I won't pretend that digital pianos are "better" in that way. BUT...who defines "better?" Can YOU tell if an acoustic piano is better than a good digital piano if they were side by side? In a blind playing test with a good digital and acoustic piano put side by side behind a curtain, I have challenged people who play piano and who do not play piano to tell me if they preferred the piano sound of one piano over the other and if they could identify the digital piano from the acoustic piano? The results were interesting but not surprising to me. In most cases the listeners could not identify the digital piano over the acoustic piano and in many cases liked the digital piano sound over the acoustic piano sound. Then we blindfolded people who were beginners and also advanced piano players and asked them to play the pianos and identify which piano was which? Again, many could not pick out the acoustic piano from the digital. When it comes to acoustic pianos, some of them can change over time and can slowly deteriorate depending on the outside weather related circumstances and also how the piano owner treats them over time. A good current model digital piano does not normally change over the years in any significant way like an acoustic piano would. However, key actions might be the exception because they have moving parts and may need adjustment, key replacement, or other assistance over their lifetime depending on the situation. Speaking of lifetime, a good digital piano can last 20-30 years or more depending on the brand & model and I personally have digital electric pianos in my studio which are that old and still working fine. However, there are many worn out or mistreated used acoustic pianos out there which are not in good shape, don't sound good, and don't play correctly, don't stay in tune, and to repair them costs more than they're worth. Also, nearly all acoustic pianos do depreciate in value over the years regardless of their condition, some more than others. 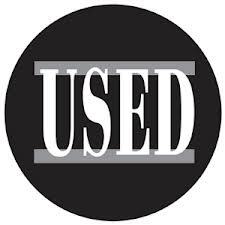 It's not unusual for an acoustic piano (vertical or grand) to be worth less than 50% - 80% of it's original cost many years later. 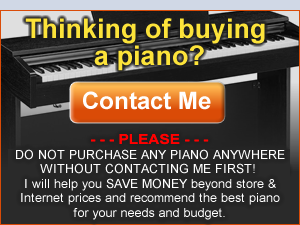 Depreciation on a digital piano is also guaranteed to be large over the years. So I suggest that you should buy a piano for what it can do and how it makes you feel emotionally when playing it, as opposed to how much of a resale value it might have later on and thinking of it as an investment that appreciates. Perhaps certain expensive and highly sought after grand pianos may be the exception to that rule, but the average family probably won't be dealing with that situation anytime soon! Generally speaking, if you're a piano student then you want to have fun with your music and enjoy it and be motivated to play it. Playing music can definitely be serious endeavor, but it should also be enjoyable and fun whenever possible. Whether students like it or not, taking lessons and learning to play piano sometimes does come with its boring, stressful, or musically painful moments such as maybe not liking the teacher, not liking the lesson, or not liking the music that's in the book, not wanting to practice at certain times, etc. But nothing is perfect and it's just part of the process...but if you love music and apply yourself you will "get there." As a student or even as a player, you may like & need the headphone feature on a digital piano so you can practice and play in privacy. As I mentioned earlier, paying hundreds or thousands of dollars in piano tuning maintenance over the years is no fun either. Perhaps you like the idea of using computer music software or iPad apps to enhance your playing and learning experience? There are so many reasons to own a good digital piano, but most of all...many of them really do offer a very satisfying piano playing experience that will make you think you are absolutely playing a real, high quality acoustic piano. I believe most people will feel like they are playing a good piano with a nicely weighted and balanced key action offering great playing response along with beautiful tonal dynamics & expression. Many of these digital pianos also do an impressive job offering full triple pedal control over sustain, decay, sostenuto,and soft pedaling just as good acoustic pianos, so that at the end of the day it feels like nothing is missing from the piano playing experience. Many of the newer and better digital pianos also have noticeably realistic organic tonal elements of real acoustic pianos such as string resonance, sympathetic vibrations, pedal resonance, touch control, damper adjustments, and voicing control over the piano sound. 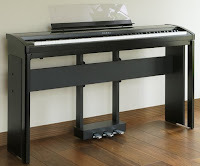 Some very nice new digital pianos in the higher price range (over $2500US) which are great examples of quality digital pianos include the Roland LX17, Roland LX7, Kawai CA98, Kawai CS8, Kawai ES8, Yamaha CLP635, Yamaha NU1X, Yamaha AvantGrand N-series, Casio AP700, Casio-Bechstein GP500, Samick SG500 digital mini grand, and many other digital pianos. 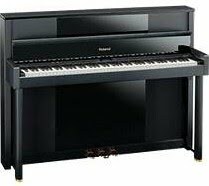 In the lower price range (under $2500US) there are also high quality digital pianos including Yamaha CLP625, Yamaha Arius YDP163, Kawai CN27, Kawai CE220, Kawai ES110, Roland DP603, Roland RP501R, Casio AP470, Casio PX870, and more. 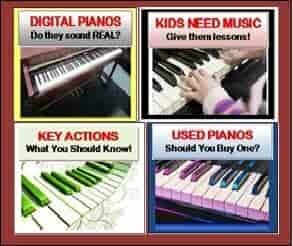 These digital pianos that I have listed here, and some that I did not list, are impressive instruments for what they do in their respective price ranges and how good they do it. Depending on your budget a good digital electric piano can be an excellent choice for your piano and musical needs. Good new acoustic pianos start at approx $5000US to well above $20,000US so they are a lot more expensive and take more upkeep as I discussed earlier. Many of my piano teacher friends (who are excellent pianists) own digital pianos along with an acoustic piano and they love and use both of them. 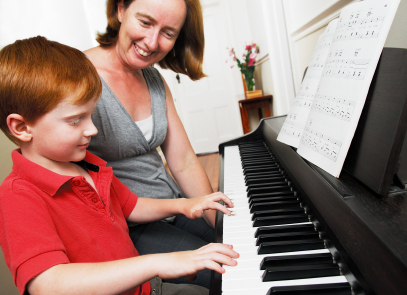 For a piano teacher, having an acoustic & digital piano can meet a variety of student needs as well as expanding the musical horizons of piano teachers. As far as mechanical and electronic reliability goes, my experiences have been very good for both acoustic and digital pianos, as long as they are the higher quality brands. You just have to be sure it's a good name brand and that you take care of your piano. 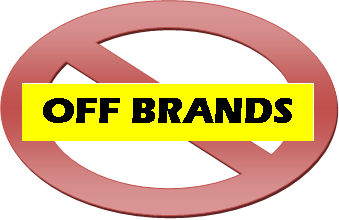 Off-brand pianos can sometimes be high maintenance and unreliable based on my experience with them, so be careful to stay away from those off-brands which include Williams, Suzuki, Artesia, Adagio, and a few others all of which are designed and made in China. 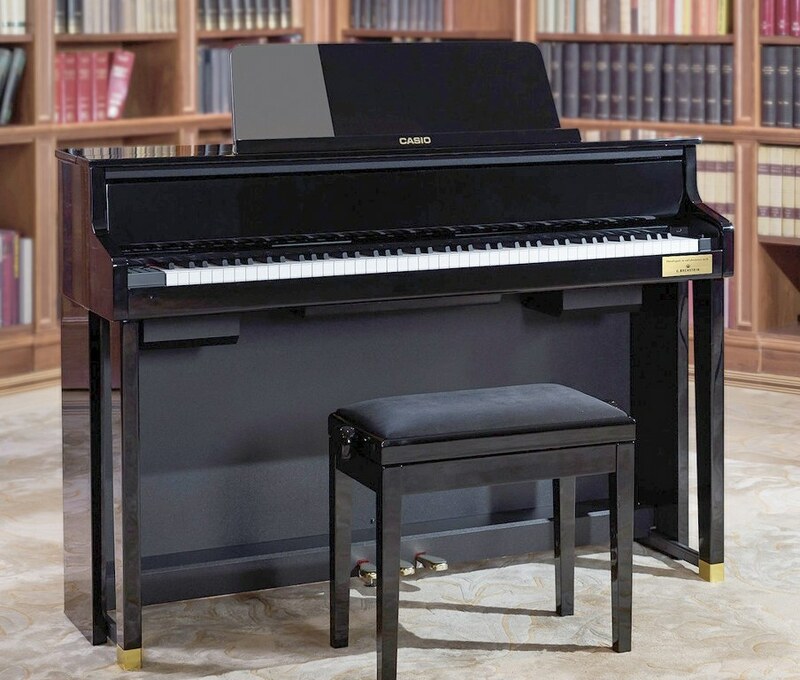 Three of my favorite lower priced digital furniture cabinet pianos right now under $2000US is the Casio Celviano AP470 digital piano, Korg G1 Air, Yamaha CLP625, and Kawai CE220 (left pic). 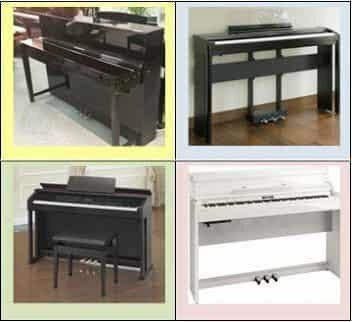 All four piano brands offer very good quality in their price ranges and the pianos play & sound good and have many features a family could want. 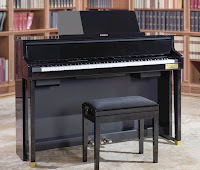 I have written reviews on these instruments and many other brands and models on my AZ Piano Review blog so check them out when you have time and look for my other piano reviews and news by using the search button on the top. Regardless of which type and model piano you buy, it is a wonderful thing that you will be getting into music and the enjoyment which it can bring for young and old alike. There is nothing like playing music to fill a home with beautiful sound, beautiful memories, and a gift which keeps on giving. It truly is a gift that you can give to yourself and/or your children which will last a lifetime and can bring joy in a way that few other things can do...so don't pass up that opportunity regardless of what age you are...3 years old to 93 years old and beyond. Lean Piano, Play MUSIC! What is the main difference (not the price of course) between a yamaha grand piano and kawai VPC1. I have now a good acoustic piano in my living room but would like to practice with privacy on a really good digital piano. Does it exist piano semi digital semi acoustic ? (not those with a silence system inside that destroys quite a bit the touch) ?